Last night I was visiting my friends Kristin and Aaron and their beautiful, charming and hilarious 5-month-old twins during my work stay in the Boston area. K&A and I decided to watch us some Fringe on their DVR (another solid episode btw). About 16 minutes into the show we realized that for some reason, the DVR stopped recording and we had missed about 20 minutes of the show. We were considering just skipping that portion of the show and trying to figure out what we missed, but I immediately knew how to fix the situation. I had Aaron download the free Sling Player software on his laptop which was connected to their TV. While downloading, I used the Sling Player on my phone to control my DVR back in Springfield, VA and rewind back to the spot where the Massachusetts DVR stopped recording. Aaron installed the player, I logged into my account on the PC and up came my home DVR right at the spot we left off at. We watched the 20 minutes that weren't originally recorded and then switched back to the Massachusetts DVR for the final portion in high-def. Did I mention before that I love technology? 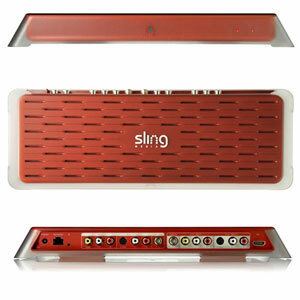 My brother got me a Slingbox Pro for my birthday a few years ago. It's the rare gift that seems to become more and more useful to me as the years go by. As I tend to travel from time to time at work I am able to keep up with my shows. During the NFC Championship game a few weeks ago I took Josh to his basketball class. I was able to have the game on via the Sling Player on my phone and keep track of the score during the class. Last weekend, Syracuse was playing (terribly) in a Noon game on Saturday and I was out and about at the gym and the grocery store. I wasn't able to watch the game but I turned on Sling Player on the phone with audio only and was able to listen to the ESPN broadcast while I shopped in Giant. Bottom line, if you like TV as much as I do (especially if you are a sports fan and need to follow your teams away from home), Slingbox is totally the answer. I gave you the SlingBox?? Had no idea. I am awesome. Jordan was too kind to mention this but apparently I was the one who inadvertently stopped the Fringe recording. I blame the wine.